At a time when international carriers are pulling out flights from newly started routes, Doha-headquatered airline company Qatar Airways said today that the company will expand its operations in India connecting Goa and Amritsar to the middle east city. The addition of two new destinations in India is part of the company's overall expansion plan, which also includes new routes to Europe and the launch of scheduled flights to Australia. "The expansion is part of the airline’s ongoing growth strategy – a long-term commitment to develop its route infrastructure as new aircraft join the fleet at an average delivery rate of one a month", stated a press note. Akbar Al Baker, Chief Executive Officer, Qatar Airways said, "India has been, and remains, one of our most important destinations and we are pleased to be strengthening economic and cultural ties with one of the world’s fastest growing economies. With the growth of the Indian economy into a potential global powerhouse and Qatar's drive to spread its economic wings globally, increasing air links between the two countries is of paramount importance." Despite a rapidly deteriorating environment for the aviation sector, Qatar Airways has decided to go ahead with the induction of one new aircraft in its fleet every month in the near future. The airline currently has on order more than 200 new Airbus and Boeing aircraft worth over $40 billion. With the opening of the New Doha International Airport scheduled for 2012, Qatar Airways plans to increase its global network to beyond 100 cities worldwide. Re: Qatar Airways to run Flights to Amritsar. Amritsar June 11 (ANI): Punjab's Amritsar city would soon be linked to Qatar with the commencement of first direct flight from here to Doha city, courtesy Qatar Airways. The Qatar Airways would be the first Airlines from Middle East airlines that will connect holy city Amritsar, the city of Golden Temple. Qatar Airways currently operates 56 flights a week between Qatar and India with daily non-stop services to Delhi, Mumbai, Chennai, Hyderabad, Ahmedabad, Thiruvananthapuram, Kochi and Kozhikode. The addition of Amritsar and Goa will take Qatar Airways' Indian capacity to 64 flights a week. Sources said that Qatar Airways had advanced the launch of its two new Indian routes to Goa and Amritsar, which are now scheduled for October in time for the busy winter holidays. 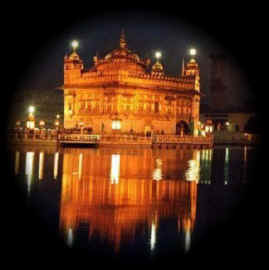 Scheduled flights from Doha to Amritsar city will be launched on October 11 ahead of Diwali, the festival of lights. On October 25, Goa will be connected to Doha city. Sources informed that both routes would be operational non-stop four times a week from the airline's hub in Doha. The two-class Airbus A320s will be used on the routes. The Doha-Amritsar flight will depart here on Monday, Tuesday, Friday and Sundays at 9.40 p.m. Meanwhile sources at Airport informed that another Tehran based "Mahan Airlines" would also be commencing its flights from Amritsar in the first week of July. It would connect Amritsar to Tehran, U.K. , Germany and Dubai with its services. Mahan Airlines would operate three times in a week.